Words matter. Many businesses may not realize it, but copywriting is essential for growth. 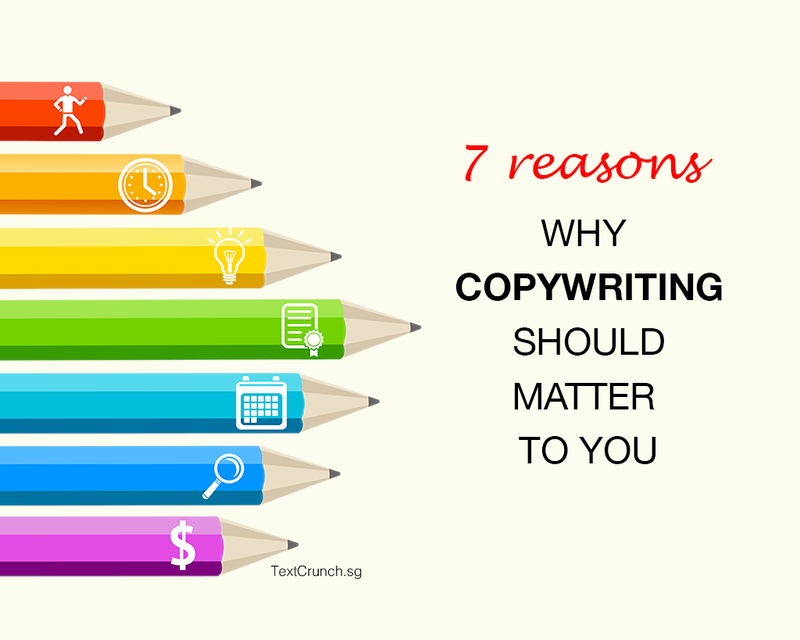 Here are 7 reasons why you need to pay attention to copywriting. Marketing strategies are now revolving around “storytelling”- the creation of unique content that engages your customers. For that, you need solid copywriting. Inspiring copy can make your brand come alive. The language and tone used in your text reinforces your brand image. Are you fun, serious, friendly or helpful? The words you use, how you use them and when you use them make a difference. Fail to use the right words to convey your key messages, and you fail in getting business. Search engines love content-rich websites that offer useful information to web users. You need a well-versed SEO copywriter who knows what needs to be done to optimise your content. A marketing campaign needs the right words to get your point across. If you want to drive sales, you need persuasive copy. The right words will have the power to convince your audience to take action. Many businesses pay too much attention to design and not enough to content. A website may look visually stunning, but if it is poorly written, is littered with spelling or grammar mistakes or has irrelevant content, this is a huge turn-off for readers. If you’re on social media to get more clicks, likes and exposure, you’re not alone. But you need to customize the way you write for different social media platforms be it crafting that Facebook snippet, summarizing your headline into a 140-character tweet or updating your Linkedin profile. If you have not been paying much effort to sprucing up your copy, it’s time you do so. Copywriting should not be last on your agenda. After all, copywriting is all about communicating with your prospects and customers. And they are at the heart of your business.